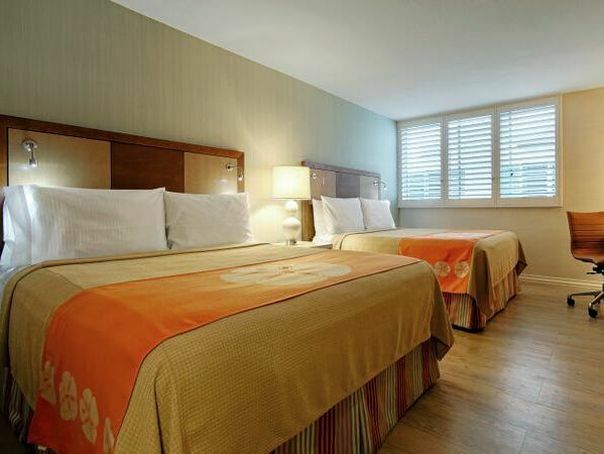 Designed for a relaxing business trip or a holiday in Santa Monica, this air‑conditioned room features one King bed, free wireless high speed internet, a coffeemaker with complimentary coffee and tea, a 42‑inch flat‑screen TV with cable channels. Designed for a relaxing business trip or a holiday in Santa Monica, this air‑conditioned room features two Queen beds, free wireless high speed internet, a coffeemaker with complimentary coffee and tea, a 42‑inch flat‑screen TV with cable channels. 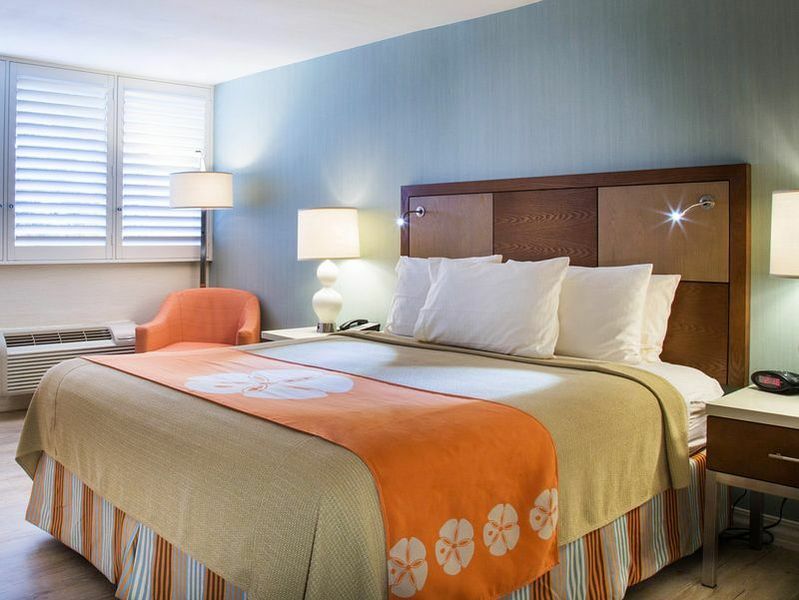 Enjoy the coastal style and amenities of the Gateway Hotel Santa Monica. Each of our 123 hotel rooms has been designed to meet the needs of business and leisure travelers seeking a centrally located home away from home in the heart of Santa Monica. All of our rooms include one King bed or two Queen beds with pillow top mattresses, complimentary wireless high speed internet, mini refrigerators, workstations and chairs and a 42-inch flat-screen TV with cable channels.